Just wanted to update the site to let you know that things aren’t at a standstill. I have at least five projects all underway at the same time. Some are coming to completetion, while others are works in progress. To name a few big ones, I had leaky fuel tanks a few months back that I wasn’t expecting so I’m in the process of making new aluminium tanks. I’m wrapping up the outboard project I started, I converted my old Evinrude 8 two stroke long shaft into a short shaft, in addition to this I have rebuilt the waterpump, new prop, and a fresh paint job. Next, I have been working on putting in a new AC/DC (the electricity not the band) panel which has required some modification to the old panel cabinet door. 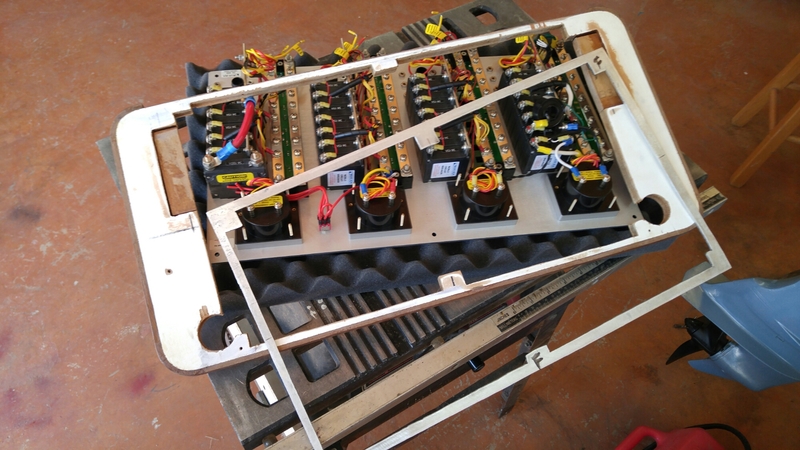 Next, I have been diligently working on the lithium battery pack installation for some time and will be making the battery box and wiring the bank up. And the last of the big five is requreing the 12V electrical system inside the boat with new wires for fans and new LED lap fixtures. 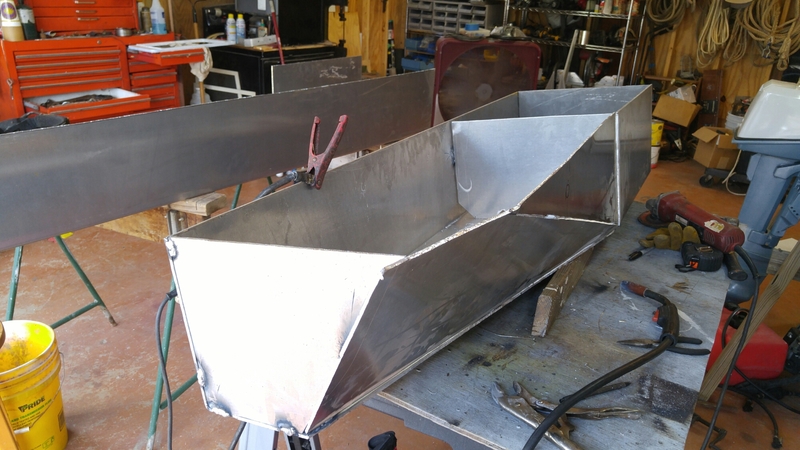 All of these projects are well underway, as of right now, I have one tank made up with tack welds to be dry fitted in the boat before it gets welded to ensure we did a good job witht he plastic template and it fits. Then to make the other tank and have them fully welded inside and out with two baffles. The outboard is 95% complete, just needs a few nick nacks like the decals and a emergency stop switch installed on it. I’m in the process of getting the panel screwed to the door, and putting the piano hinge back on to be able to mount it back on the boat to begine the wiring process. The battery box for the lithium batteries will be made while I’m cutting the panels for the fuel tanks. Going to get the hardware for that today to hold them together and fastened to the boat. I have a little less than two weeks left to finish some of these projects up. I will post up some updates as it comes. Have a good week friends!